Well before 9/11, my cousin Arnie Schlissel started a project, “All Schlissels are linked,” creating a family tree of all Schlussels, Schlissels, and Schlessels from around the world. We are all related to one man in Poland in the 1700s, Yoska the Holy One (a righteous, heroic man, who was murdered by the anti-Semitic Countess Tarnowski). Even though many of my relatives were wiped out by the Nazis, the Schlussel/Schlissel/Schlessel family remains strong and numerous. This past summer, we had a family reunion in the New York City area. One of those who never had a chance to attend was my cousin, Jon Schlissel, murdered on 9/11. He died when the second plane hit his office in the South Tower. He worked on the 87th floor. Jon is survived by his sweet mother Ruth Schlissel, age 85, and his brother, Larry Schlissel. Jon was also a hero, perhaps on 9/11 and definitely during his life. A fitness devotee, he regularly worked out and was very muscular. On 9/11, everyone in his office got out and survived–everyone except Jon, a man in a wheelchair and a heavyset woman. Jon’s brother, Larry, said he believes Jon didn’t make it because he was trying to assist the other two in getting out. Jon, who grew up in Long Island, was exactly the type of man Muslim extremists hate–exactly the type of man who could live free in America, but not in any Muslim nation. He was a Jew. And he was gay and a gay rights activist–a regular attendee at the Pride March in New York and a vocal voice and pot-stirrer in New Jersey local politics. By the way, how is your cousin Jon doing these days? Ouch. Did I hit a sore spot. Jon bought a Victorian home in a bad neighborhood of Jersey City, New Jersey and restored it to the most minute detail. As a result, others moved into the neighborhood, restored homes, and it is now a gentrified area. Jon’s home of 7 fireplaces and 14 rooms is a regular stop on home tours. Jon was a community activist who restored a local park and movie theater, Loew’s Jersey Theatre, in Jersey City. He gave a lot of money to charity. He was an ACLU member who believed in equality for everyone, his brother, Larry, told me. You would never know Jon was gay, unless he told you. He used to tell gay activists at the Pride parade, “Why would you wear a dress?” He told gays they needed to act normal to get respect and equal treatment, not act or dress like freaks. Jon worked for the government, as an accountant for the New York State Department of Taxation and Finance. He was a supervisor for corporation tax and audited some of the world’s largest corporations. Contrary to outrageous Muslim assertions, Jon and many others with Jewish surnames who worked for the Department, did not get “the memo” for Jews not to show up to work on September 11. All of these people–Jews and others–showed up and were murdered by Islamic terrorists. 9/11 is not a special day of remembrance of my brother for me. I remember all victims today. But I miss Jon every single day, no more or less than on 9/11. Every day, I think, ‘I should tell this to Jon.’ But I can’t because Jon isn’t here. He was the sweetest nicest guy you ever could meet. He extended himself so much to his friends, his community, even people he barely knew. He convinced a guy who was fed up with his job to fulfill his dream of becoming a doctor and going to medical school. That person is now a happy doctor. That is the kind of guy Jon was–always friendly, always smiling, always helping others. For as long as the Schlissel Family and its extended family exists, Jon will be remembered by all on each and every anniversary of 9-11. May his name always be remembered as a blessing. Read the New York Times profile of Jon, a remembrance from Jon’s friend, Ron, and statements of others who knew him well. Articles about Jon from the Jersey Journal, here and here. Never forget the attacks of 9/11 and who committed them. As we frequently note on this site, it wasn’t the Samoans who murdered almost 3,000 Americans. Jon Schlissel, Zichrono LiVrachah (Blessed Be His Memory). I just found your website via a link from elderofziyon. Just wanted to tell you how much I appreciate what you do…and also…I knew your cousin Jon when I lived in NYC. He was a nice and kind person and I was shocked when I got e-mails from mutual friends telling me the horrible news from that horrible day. Sometimes it seems as if this world is getting crazier every day. I guess he was not one of the 4,000 Jews whom the Islamonazis (including their lapdog David Duke) claimed were warned not to show up for work that day by the Mossad. My condolences to your family on your loss. My condolences to all our families for their losses on 9/11/2001, and in the war against Islam since then (Iraq, Afghanistan, other areas of the world). Let’s hope his death wasn’t in vain. God (the Christian/Hebrew one, NOT friggin’ allah) Bless America! Although I’m sure Jon and I would have been on opposite sides of the political spectrum, his senseless death at the hands of people who embrace a deadly religious ideology is felt as a great loss not only to all the Schlussel/Schlissel/Schlessel family members but also to millions of other patriotic Americans. For his sake, if nothing else, Debbie, please keep your blog going at all costs. On this fifth anniversary of the 9/11 attacks, my family and I offer our heart-felt condolences to everyone who lost relatives on that fateful day. As Americans I hope we can all pull together and become united against our common enemies. May G-d bless and strengthen us all as we continue our righteous struggle with those who seek our destruction. Oh, by the way, I just wanted to let you know that it has been both fun and informative reading and commenting on your blog here for the past few months. I’m getting married on the 25th and we’ve decided to move to (gulp) Tel Aviv at the end of this month. Guess we’ll be right in the thick of things there but by the way things are beginning to look here in the U.S. I’m beginning to wonder which will actually be worse in say 20 years. Keep up the writing Debbie, you’re good at it! What I especially like is when you bring us the news the MSM won’t. Also wish more people would start taking you more seriously than they do. And I think you know who I mean by “they.” Can you say F-B-I etc. Take care everyone! Thee_Bruno, try to stay out of trouble you crazy guy you! Sometimes Debbie you really amaze me! Given your borderline homo-phobic WNBA rants (OK I do agree with some of them, most but not all the players do look like men and there’s probably a lot of lesbians as fans, but so what?) and your rants on the ACLU (again, do not totally disagree with itI mean certainly their legal argument for neo-Nazis marching through Jewish Skokie, IL 30 years ago was truly outrageous, but don’t always agree either), I never thought you’d praise your cousin’s gay-rights and ACLU activism (no, I’m not gay, far from it!) in eulogizing. I’M NOT PRAISING IT. I’M JUST MENTIONING IT. Of course, disagreeing with your cousin certainly doesn’t mean you would want to see him dead, and in this gruesome manner to boot but I never thought you’d emphasize things you almost certainly disagree with in mourning him! Truly, it is articles like these in which you are a class act. Never forget! Never again! Can’t believe it’s 5 years now…. Debbie, I’m sorry for the loss of your cousin. I hope we can one day avenge his death. I met your cousin Jon at a gay retreat in the 1997-98 and found him to be such a great guy. We never did meet up again though we had plans to eventually do so. 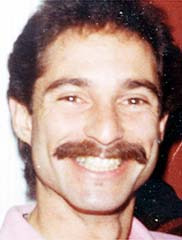 You’d think Mark Bingham was the only gay person to die during 9-11 or family to be affect. Thanks for memorializing him. I didn’t know him well but thought of him fondly and hoped his family was able to take comfort that he was a great guy. My family and I were in New York for a vacation recently (we’re from England) and we visited the 9/11 Memorial on 1st Sep 2014. One of the few photographs I took just happened to show Jon’s name inscription right in the centre of the frame and I wanted to look his name up when I got home. Well I’m home in England now and I just wanted to let you know that someone, somewhere was thinking of Jon Schlissel in particular. I think that, as life is action and passion, it is required of a man that he should share the passion and action of his time. Jon Schlissel was a man of passion. He was passionate about his family. He was faithful to his mother, Ruth, whom he called every Saturday morning at 11 a.m. He was passionate about health and fitness. He maintained a daily exercise regimen and at the age of 51 had the abs most men his age only dream of or remember wistfully. He was passionate about his causes. He challenged the politicians and advocated for others in a variety of campaigns from civil rights for gays to his neighborhood civic association. He was passionate about antiques. He was well known as a collector and connoisseur, having owned a 14-room Victorian-style brownstone, painstakingly restored and furnished with items from the Victorian era. He was passionate about history and historical preservation. He served over a period of many years as president, vice president and chair for a historical society in Jersey City, where he lived. He was passionate about his co-workers. His brother, Laurence, said that “Jon was spry and small; he could have run down those stairs in no time. But he was a supervisor, and he had a friend and coworker who was heavyset and another who was wheelchair-bound. Together, they were the only three people who were lost from Jon’s office. It’s most likely that he stayed to help them.” He was passionate about his friends. And from the tone of the eloquent words spoken at his memorial service and the many heartfelt messages posted on the various tribute websites, Jon’s friends were passionate about him. Every year in Alabama we have a memorial program on this day and I always say his name out loud….It makes it REAL that you KNEW somebody who was killed..